Carol-Ann of PinkDaisy has recently joined us on Zibbet. 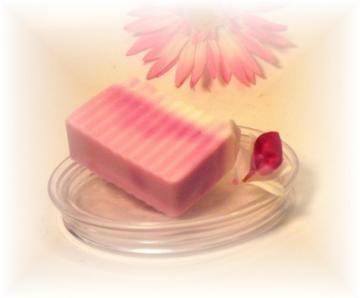 PinkDaisy offers handmade glycerin soap (100% vegetable), shea butter soap and mango butter soap. 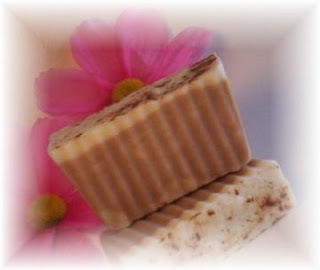 Each bar is carefully made with skin loving ingredients for a luxurious bath. Custom orders are welcomed! 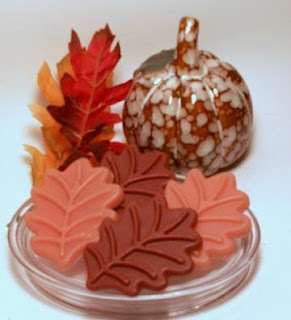 I loved this photo of the Pumpkin Parfait Shea Butter Leaf Soap, doesn't it say Autumn so beautifully? The sweet leaf-shaped soaps are scented with Pumpkin Parfait: a delicious blend of pumpkin pie, rich vanilla and coconut with a dash of sugar. I'm in the UK - and I've never yet tasted Pumpkin pie, but I'm sure they smell delicious! The next soap to catch my eye is named "Love Spell"
The third soap I'd like to share with you is Chocolate Decadence Mango Butter Soap. I wish PinkDaisy every success - if the soaps are as tempting as the names and photos suggest, I think they'll be flying out of the shop! Great write up, I love how she has pictured her soaps they look amazing! The soaps look so inviting! What a great write up, just love her pictures. Off to check out her shop now! I love the photographs too :3 It really shows off the product well! One word....yum! Is 'yum' a word? Well you know what I mean!